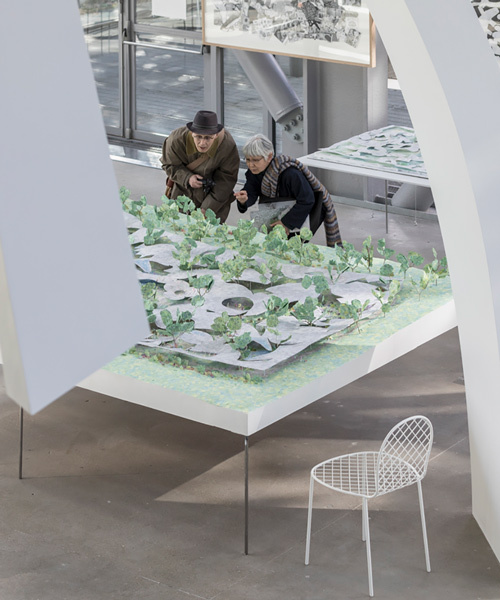 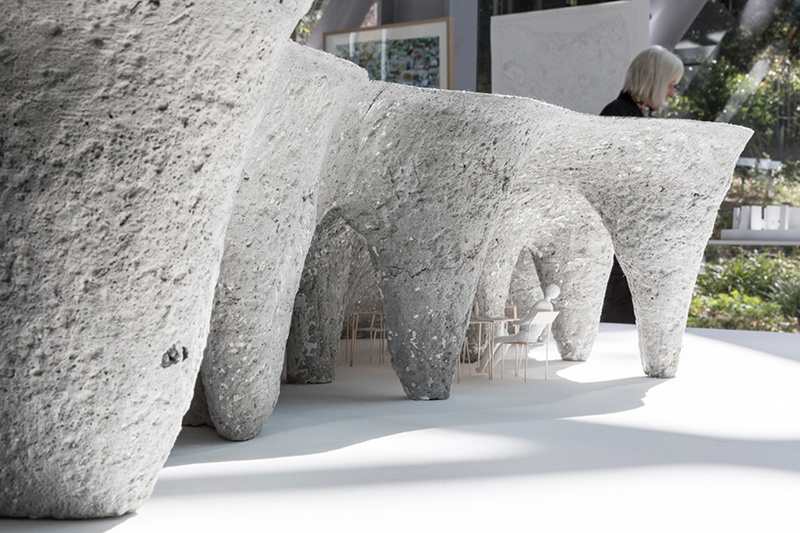 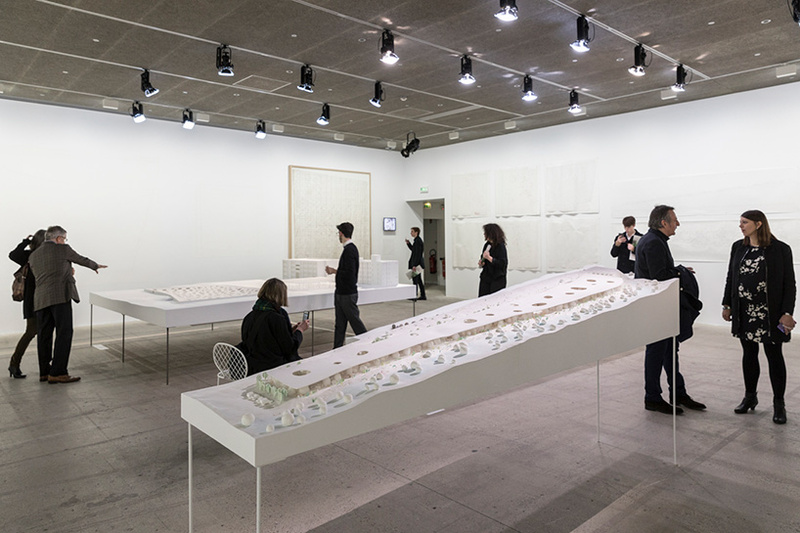 from now until june 10, 2018, paris’ fondation cartier presents ‘freeing architecture’, the first major solo exhibition dedicated to the work of japanese architect junya ishigami. 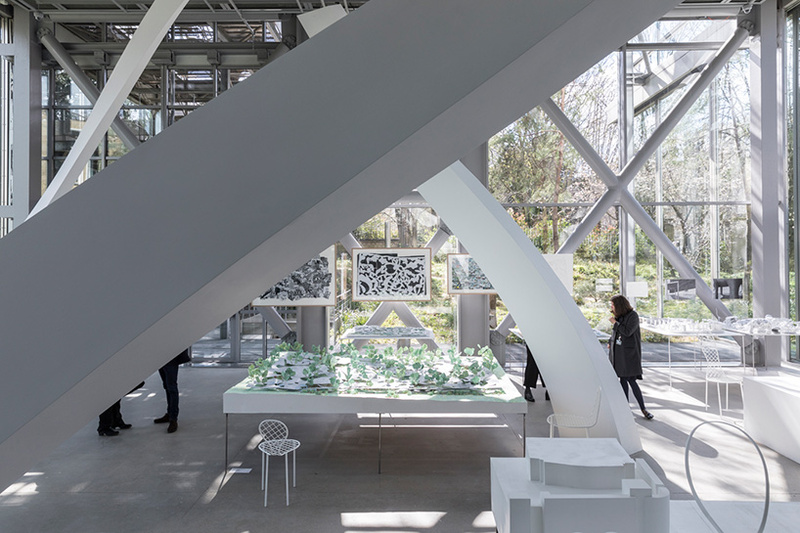 born in 1974 in japan’s kanagawa prefecture, ishigami belongs to a generation of japanese architects that emerged in the 2000s in the wake of toyo ito and kazuyo sejima, and to which the museum of modern art in new york has recently devoted a large exhibition. 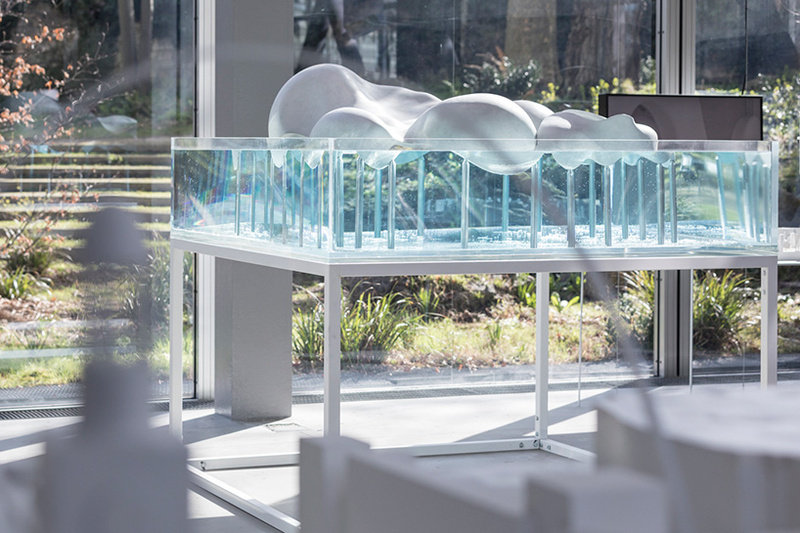 to coincide with the opening of ‘freeing architecture’, photographer laurian ghinitoiu has shared his images of the exhibition, which highlight the range of work on view. 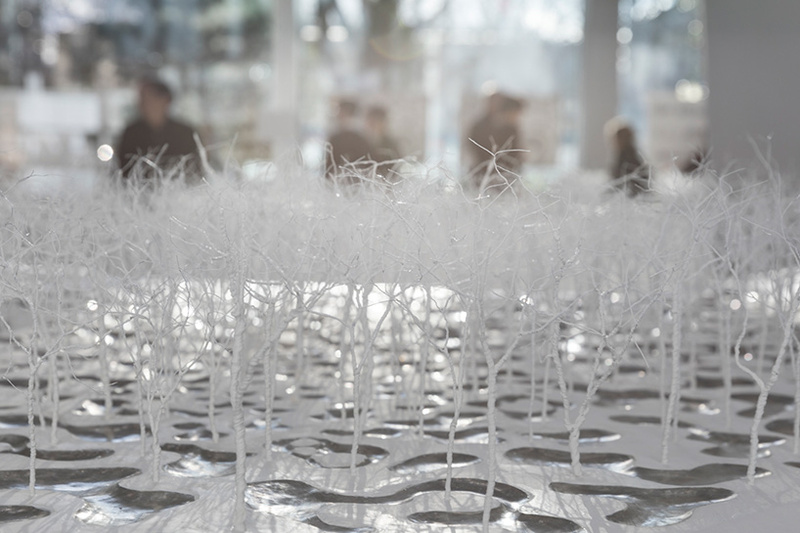 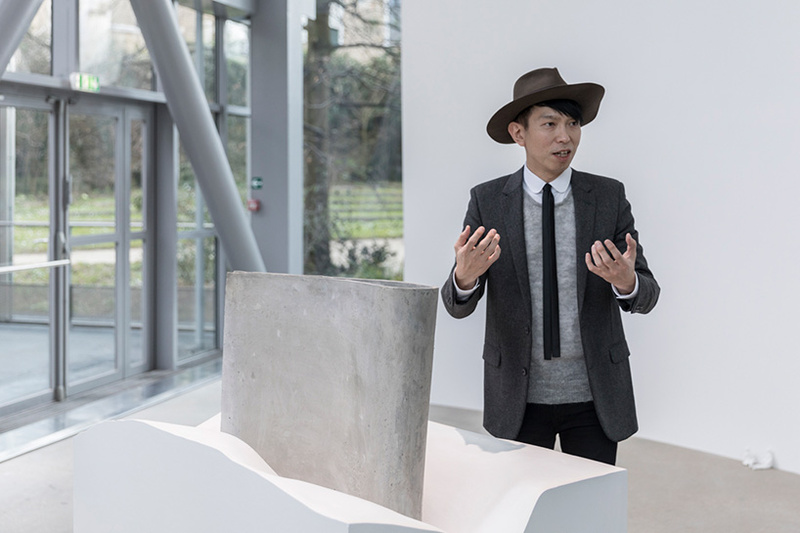 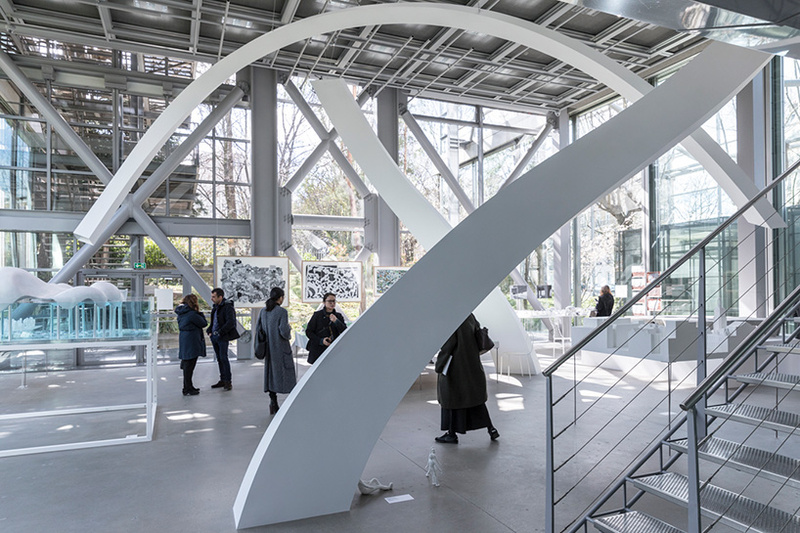 the exhibition at fondation cartier, reveals ishigami’s research into freedom, fluidity, and the future of architecture. 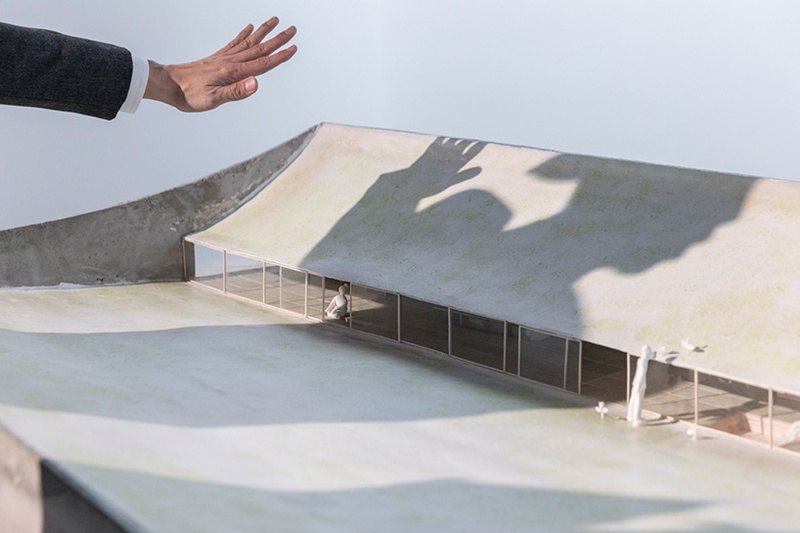 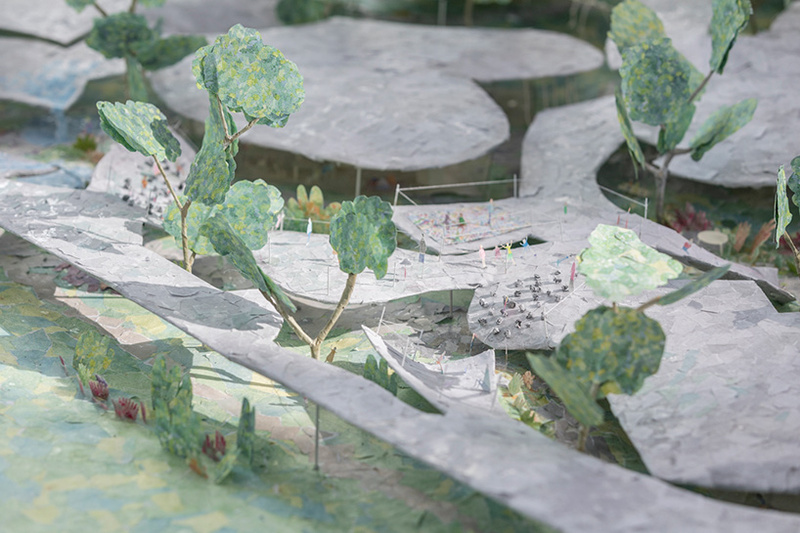 20 architectural projects across asia and europe are presented through a series of large-scale models, accompanied by films and drawings, that document their different stages of conception and construction. 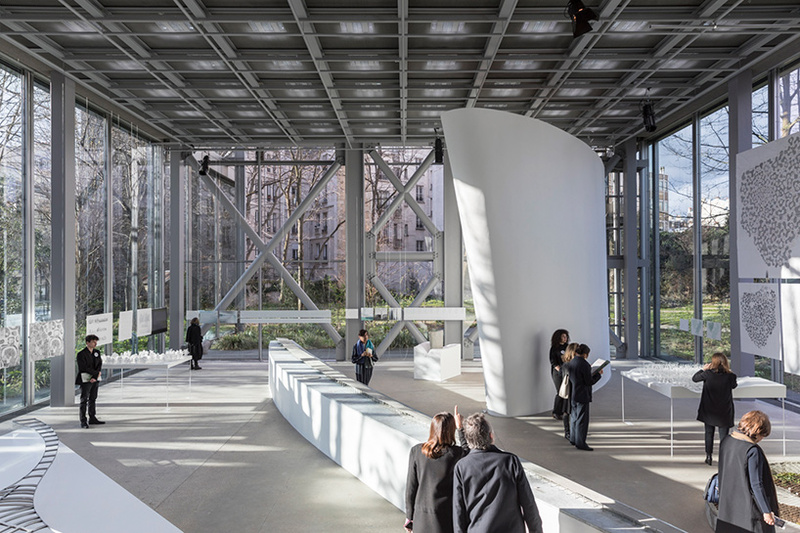 existing in dialogue with jean nouvel’s building, the steel structure designed to house the cartier fondation in 1994, the event is the first large-scale solo-show that the museum has devoted to an architect. 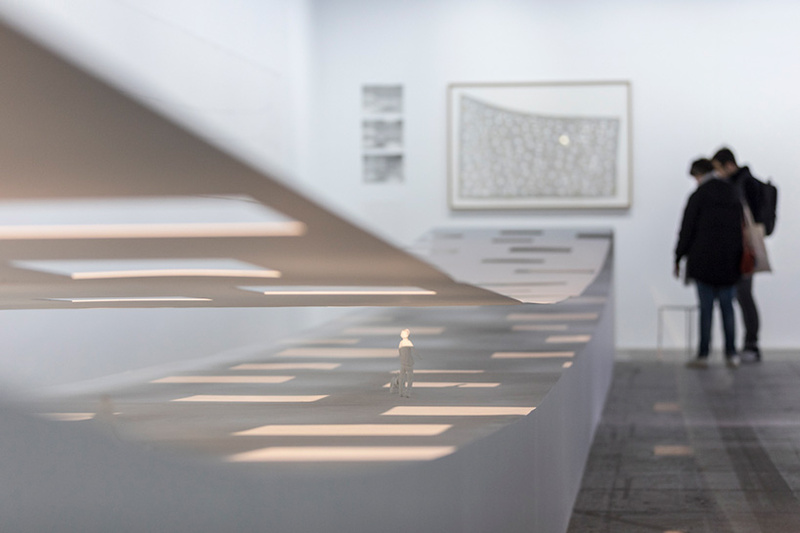 ‘freeing architecture’ is accompanied by a book that features mixed photographs, drawings, models, and all the poetry inherent to ishigami’s work.